Would you like to see some of the actual jobs completed by our talented team? 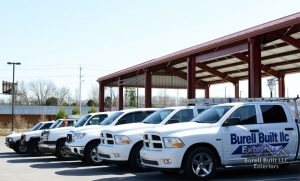 The professionals at Burell Built Exteriors take great pride in their work and serving our customers in Knoxville, TN, Chattanooga, TN, and surrounding areas. We are excited to share images from real life projects that we’ve been entrusted with, and look forward to adding your home or commercial property to our galleries! Be sure to visit our Commercial Roofing and Residential Roofing pages to learn more about the quality roofing work that we do. Call us if you’re considering roofing replacement or repairs to your existing Knoxville, TN or Chattanooga, TN home or commercial property, or if you’re planning for new construction. Updated on November 16, 2016 at 5:39 pm by Burell Built Exteriors.